Specific coal quality and stable calorific value are most important for processes using coal as a fuel or input material. The system of coal quality management is a complex of technologic and operational arrangements which aim at producing of required coal quality for certain application. It should be able to react on dynamic coal quality fluctuations in order to maintain the product quality requirements. High efficiency of the coal quality management is usually reached by combined implementation into several stages of the coal treatment process. The samplers are used to take coal samples for laboratory analysis and to check the coal supplies according to standard requirements. For efficient utilization within the coal quality management systems it can be equipped with fast-analyzer to provide immediate results of taken samples. The fast-analyzers can be directly implemented into the sampler technology and directly provide the results with no manual operation needed. The systems of coal quality management can also use the results of laboratory fast-analysis (e.g. GE fast-analyzers) or traditional laboratory analysis mainly for system verification or to make balances more accurate. 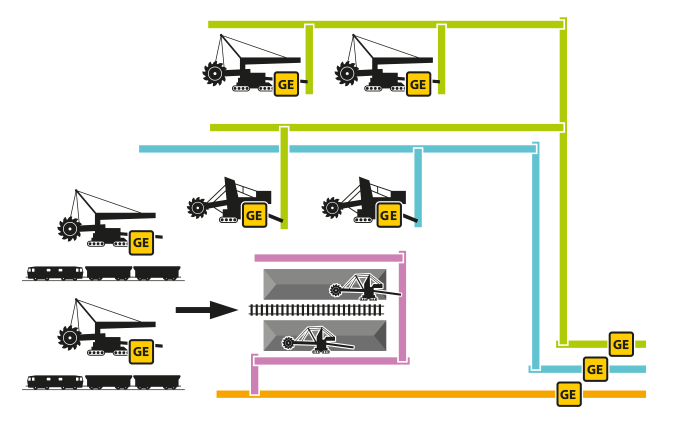 It is possible to affect the technology procedures using the effective system of operational control in order to achieve the required coal quality. 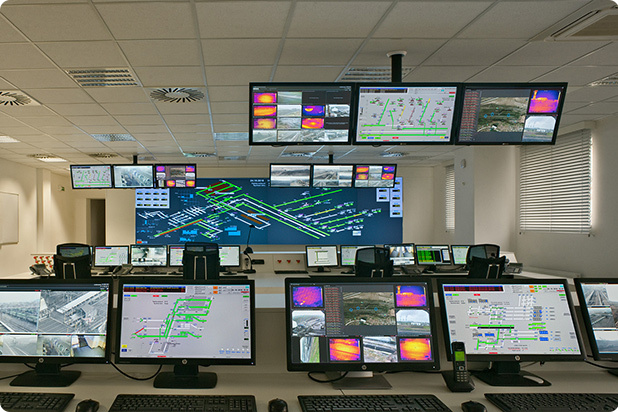 The systems of operational control differ based on the facility type and the possibilities of existing equipment. The system includes not only the technical features but also the operational and decision-making rules. 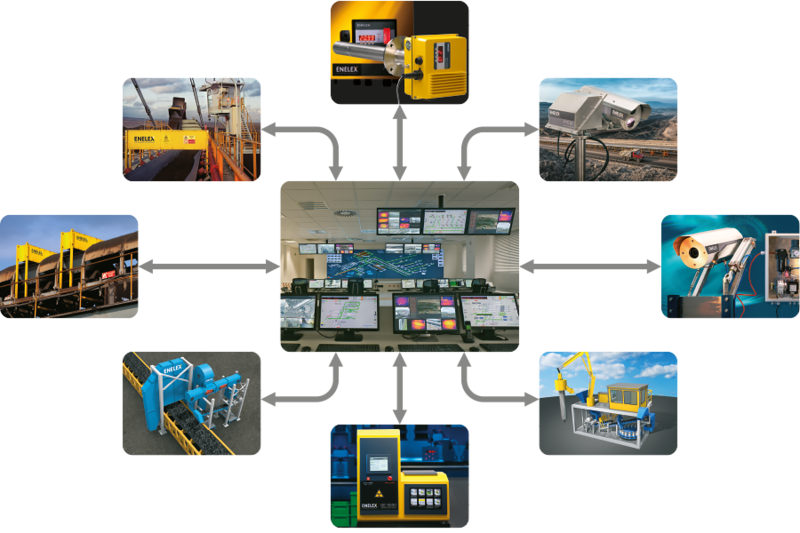 The operators of the functional blocks take care of the technology operation including the online measurement results, actual balances per time segment and the requirements on final product. This gives them the opportunity to take eventual actions to reach the goals of production. In the open-pit mines the excavation is usually planned based on the geological survey maps. The real coal quality in individual coal seams can significantly differ. The efficient excavation control can stabilize the quality of produced coal which reduces the costs of consequent coal cleaning or further homogenization. Installing the on-line ashmeters directly on the excavators allows to verify whether the excavated coal quality conforms to the expected parameters and to adjust the excavation planning for the machines within the mine. The on-line measurement result is also displayed for the machine operator which can prevent from unwanted excavation of overburden. The main operator puts the requests on excavator operation based on the excavation plan and the data from the on-line analyzers. The coal is being blended during the transport from the machines. The on-line quality measurement at the output of the mine verifies the conformity with the plans and customer requirements. 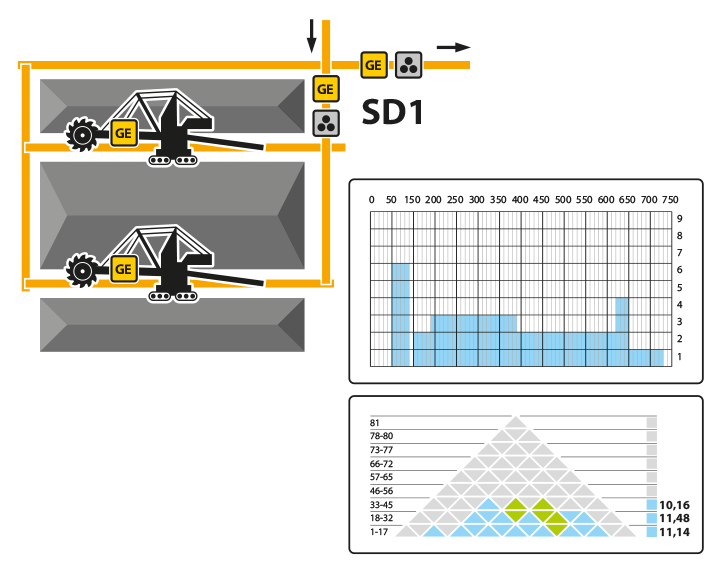 It is complicated to install the on-line analyzers onto the mining machines in the underground mine. For the excavation controlling, there are used the on-line data on coal quality from different sections of the mine. The final quality is verified at the output of the mine during expedition. The on-line analyzers are mainly used in the technology on the ground but Enelex also offers ashmeters for underground explosive environment. 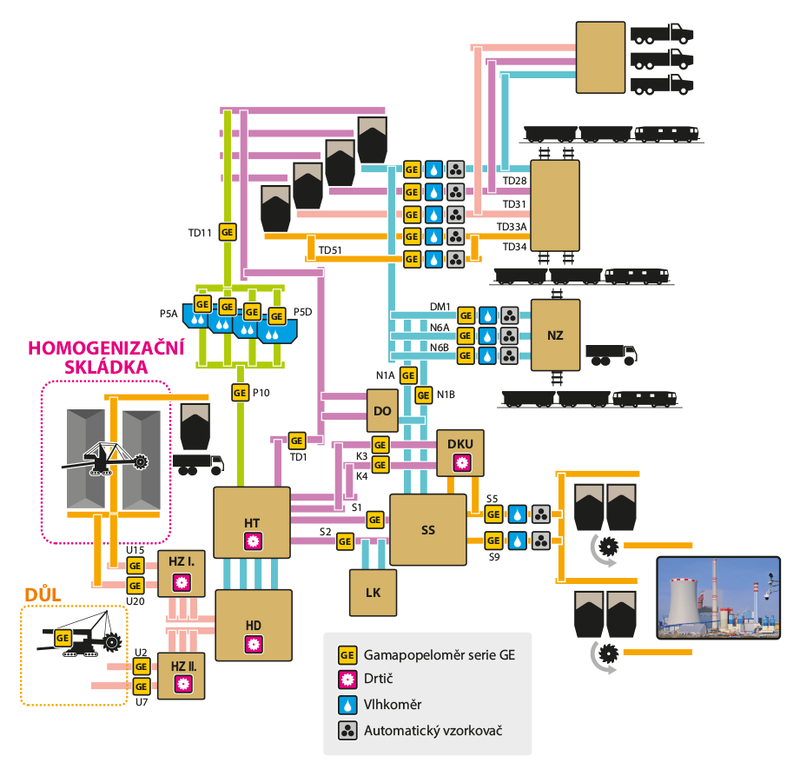 Online analysis and CQMS is fully implemented to monitor the inputs and final product and to control the technology of washing and blending. The coal homogenization process at the stockyards can achieve high stability of final product parameters according to specific requirements. Based on on-line measurement of input coal quality fluctuations it is possible to control the stacking at the stockyard. The mapping system of the coal quality at the stockpile layers is used for coal homogenization. The quality of the coal being stacked is measured by the on-line ashmeters mounted on the stacking machines. 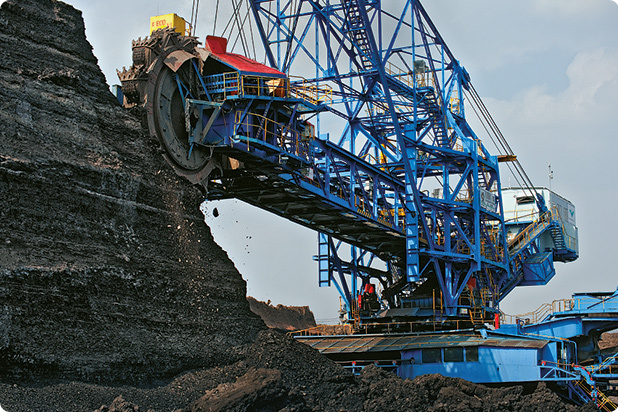 The sensors of machine and boom position are installed to determine the exact position of coal stacking and the information is recorded into the system together with data from on-line analysis. The balances of stockpile contents are calculated on-line and compared to required quality enabling to adjust the further stacking of next layers and to reach the intended coal quality within the pile. The resulting coal quality is then verified by sampling and on-line measurement at the stockyard output. The power plant operation requires the coal feed of specific calorific value. In case of any deviation an output power loss or even boiler blackout can occur. The coal ash content and calorific value is monitored before the silo feed to ensure the sufficient quality of coal for proper boiler operation. If the on-line balances of coal quality do not conform to the boiler requirements, some of the silos can be fed with coal of different quality. The parameters of all coal being available for the boiler are used by the operator to adjust the working parameters for the boiler as needed. In case of any deviation it is possible to adjust the setup of coal feeders or improve the boiler operation by injection of other fuel (oil or gas). The comparison of laboratory results and boiler performance with the online measurement of coal quality and quantity helps to verify the effectiveness of the whole system.